Have you ever wondered how Jazwares make all of their finely crafted Sonic merchandise? Well wonder no more as SEGA of America’s Kellie has obtained all of the answers along with concept art and photos from Joe Amaro who works in Jazwares Product Development department. Topics discussed are concepts, prototypes, approval, where the toys are made, fan input and even Joe’s favorite character. You can check out the Q&A and pictures at SEGA of America’s blog but you may want to get yourself some refreshments as it’s a very long interview. Thanks to D00dlebug for the heads up. I’d always imagined some sort of underground furnace where a Elf blacksmith forges them from the purest materials with an enchanted hammer. The Super Sonic one sounds interesting! I bet it’s invincible and everything. Awesome, they’re considering making the Chaotix and they are currently making Super Sonic. That’s awesome, amazing. I never thought about how much work goes into those. P.S. Don’t we have a certain Sonic 4 Chopper Badnik and Stinger Concept Art to post? 2. Sega, there’s nothing wrong with seeing old Badniks, in fact, I encourage it. But aren’t we do for seeing some original Badniks? We didn’t forget the update, I had asked if one of the other staff members could cover it but they must be busy. I’ve checked it out myself and it’s nothing news worthy anyway since both badnik’s have been seen in the leaked footage and or magazine screenshots. This made my day! 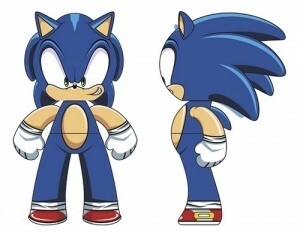 I wishing a Vector and Espio figure since I was a kid! !